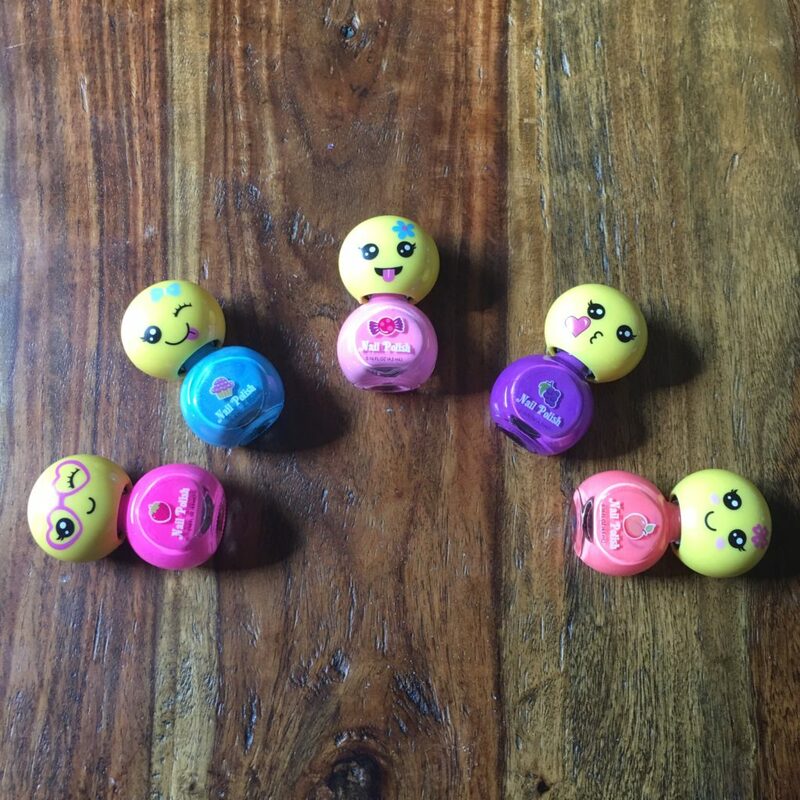 SmitCo Review by Shanna Gebhard | Little Girls, Emojis and Nail Polish Oh My! Salt Lake City Events, Coupons, Reviews! Anything Emoji is hot right now. Peyton would plaster her walls with Emoji clings, if I would let her. 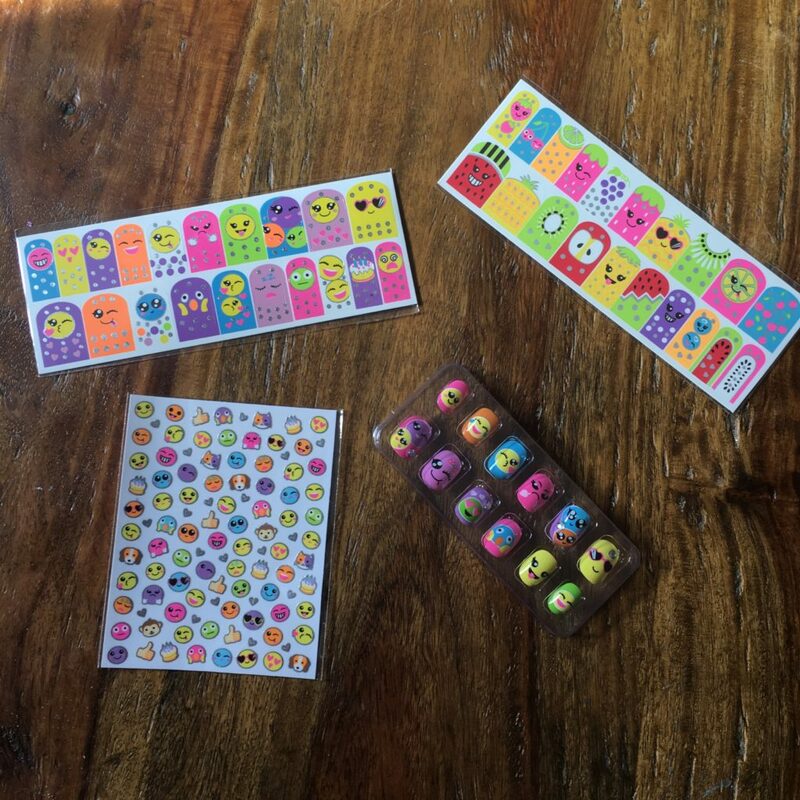 She has the pillows, the blankets, the little keychain thingies and now she has the Emoji Scented Nail Collection by Smit Co too! If you have a little girl in your and are looking for gift ideas for the holidays you need to keep reading. Especially, if it's for a niece, you'll be the coolest Aunt, Uncle or grandparent around if you gift them this for the holidays. 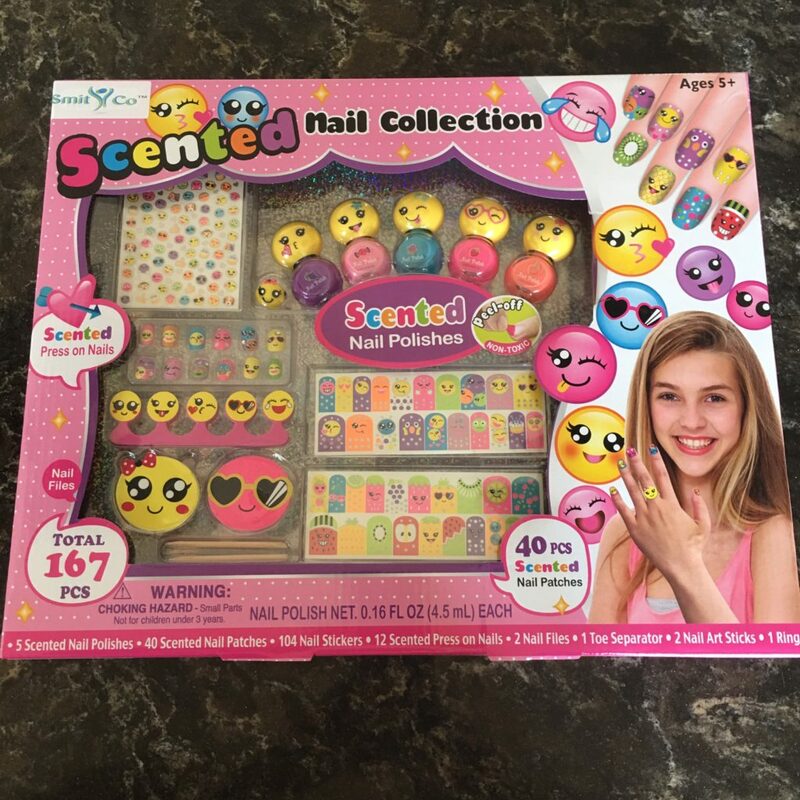 This is the ultimate Emjoi themed nail care kit for little girls! Some of the press on nails even have a little rhinestone on them! It looks like it would be for the thumb. How cute is that? There are over 160 pieces inside this kit. That is definitely enough to keep your little one occupied for a few manicures! The nail polishes are bright, fun colors for little ones to wear like purple, light pink, blue, hot pink and orange. I know those are colors Peyton would love to use. They are non-toxic and peel-off. I really like this feature. Too often Peyton picks at her polish and then it chips, I'm hoping this peel-off feature will just let it all come off without damaging her nails like picking does. Smit Co has you covered for your Emoji obsession. 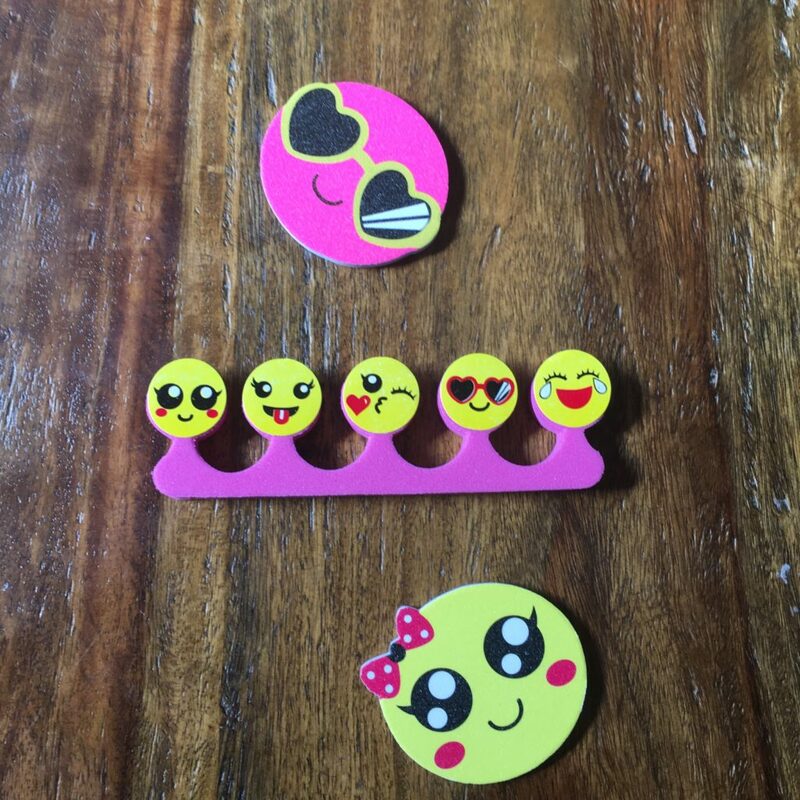 Below are a few of the other Emoji themed items they have. Also, be sure to check out their full selection too. And don't forget - My readers get a discount!